During World War II, thousands of German “Propaganda Company” (PK) photographers took at least three and a half million pictures of every front on which the Germans were fighting. Hundreds of these photographs were published in mass circulation illustrated magazines and newspapers and seen by millions of readers. These images helped in significant ways to shape the way that Germans and Europeans saw the war between 1939 and 1945 and also to affect the visual memory of World War II up to the present day. Benno Wundshammer (1913-1987) was one of these PK photographers. During World War II he was attached to the German Luftwaffe. He took photographs on almost all of the fronts—Poland, France, the Balkans, Russia, North Africa, Italy—where the German army fought. After 1945, he acknowledged that his images had often been used in the service of Nazi propaganda but dcnied that this had anything to do with their innate qualities. 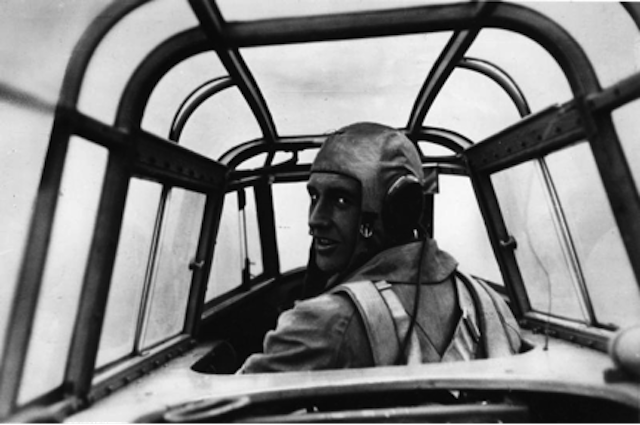 Wundshammer depicted himself as a craftsman intent only upon taking “good” pictures of the air-war. Yet it was this same self-image as a skilled practitioner of his craft, relentlessly searching for the “best” pictures of the war, that made Wundshammer so valuable to the Nazi regime. His pride in his work prevented him from ever questioning the job he was being asked to do. Nor were any of the photographs that Wundshammer submitted for publication seriously at odds with the visual needs of the Nazi regime. Wundshammer’s experience reminds us that what we remember visually as war depends not only upon what we can see in war photographs but also upon what these photographs do not, cannot, or will not show us. And Joan Neuberger on digitilized photos from WWII available on Wikimedia Commons.